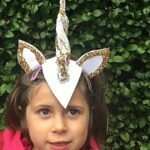 I am running a short series of Halloween Costumes that kids can make. 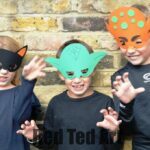 There is nothing like BEING prepared.. but if you are NOT prepared, then these costumes should STILL come in handy, as they are quick and easy, as well as very inexpensive to make. 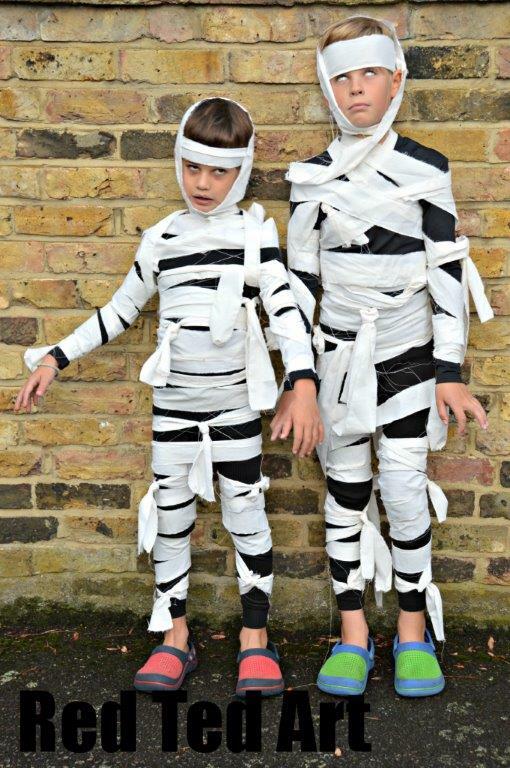 I was tasked by the UK newspaper The Times to come up with some DIY, NO SEW costume ideas that 8-12yrs could make… Today we share our Mummies!! So, beware the mummies are in town. See if you have some old sheets going spare, maybe a number of baby sheets or half of an old double sheet? I do like to use “old old” things, that are of no more use – i.e. that can’t be gifted. So please do ASK a parent before you cut something up! Or go to the thrift store and pick up something old! Make a cut approx. 7cm wide into your sheet and then tear a long strip off along this cut – this means you get a nice straight line, you don’t spend ages cutting and the fabric frays nicely for that special mummy look. Repeat until your sheet is all in strips. 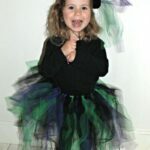 Legs: be sure to do this loosely, if need be pin some strips of fabric in place. 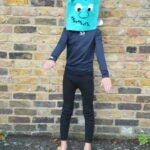 You want to be able to take the trousers off in order to go to the loo! Knot the first piece to the bottom of your trousers and start wrapping it up your leg. When you come to an end, add the next strip. Repeat the other leg, and go up to you wait. Be sure it is loose enough to get off. 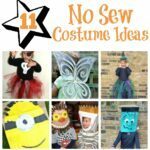 You may have to use safety pins. Top: this can be as tight as you like, as you won’t have to take that off. Start on either arm and then wrap strips all around your body and head. If things are slipping at all pin in place. 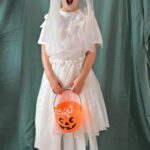 Check out our other Halloween Costumes – such as the Halloween Bride, easy Skeletons (I dressed up as these at university once..) and Tutu Witches. 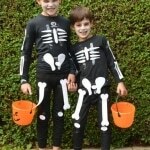 Last Minute Halloween Costumes: Skeletons! 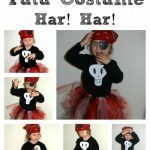 That’s an easy made costumes for kids, if combine with some face painting, it will be done. I did this but instead I used an old black ninja costume that had a hood, double sided tape and white streamers. I layed it out and started taping the streamers on. I left a few loose ends here and there. After he wore it to school, it looked even better because things had been torn and it looked fantastic at night. That sounds like so much fun! Love that wearing it and getting it torn made it look even better!